After two close games in Atlanta, the Series shifted to Cleveland for the next three games. Ever the antagonizer, Kenny Lofton stated that the Indians would have won the first two games if they were played in Cleveland because of the passionate Cleveland fans. The fact of the matter is that the Braves pitchers had held the potent Cleveland offense to a .096 batting average through the first two games. Game 3 matched John Smoltz against Charles Nagy. The temperature at game time was a brisk 49 degrees with a wind chill factor of 29 degrees. A 25-mph wind came blowing into Jacobs Field off of Lake Erie. Leo Mazzone and the other Braves on the bench sat bundled up in Braves jackets and gloves. Atlanta scored in the top of the first on an RBI single from Fred McGriff, but this was not to be Atlanta’s night. Cleveland answered with two runs off of Smoltz in the bottom half of the inning then two in the bottom of the third to chase him. Smoltz pitched 2.1 innings giving up four runs on six hits. Mazzone sat on the bench stunned with no movement. Dave Pursley glanced over at Mazzone several times during the inning and couldn’t believe Mazzone was so still. Finally, he walked over to shake Mazzone to see if he was asleep from the cold or had passed on to the great ballpark in the sky. Mazzone was okay, but the Braves knew their bats had to heat up quickly to stay in the game. McGriff started the comeback with a home run in the top of the sixth to cut the deficit to two. Ryan Klesko then launched a solo shot in the seventh to pull the Braves within one. However, Cleveland answered with a run in the bottom half of the inning when Lofton scored on a Carlos Baerga single. With Cleveland leading 5-3 in the eighth inning, Atlanta took the lead 6-5 on RBI singles from Luis Polonia and Mike Devereaux and one big Cleveland error. However with the passionate Cleveland fans urging them on, the Indians tied the game in the bottom of the inning then won it in the bottom of the eleventh. With Cleveland’s 7-6 victory, the Series stood at two games to one. Bobby Cox had a tough decision to make for Game 4—bring back Maddux on short rest or start Steve Avery. As the night wore on, people thought they heard Mazzone singing some version of “I Will Survive,” a song made famous by Gloria Gaynor. Cox reasoned that he had four quality starters and wanted all of them to pitch with the proper amount of rest, so Cox decided on pitching Avery for Game 4. Some members of the media questioned this decision because Cox would be without Maddux for a Game 7. Yet, Avery closed out the Cincinnati Reds in the National League Championship Series (NLCS), 6-0, and he had a 4-2 record all-time in the postseason. Tom Glavine thought Cox’s decision was a good one. Glavine noted that Avery walked around the clubhouse in the postseason with a lot of confidence, was very focused, and seemed like the pitcher who shut down the Pittsburgh Pirates in the 1991 NLCS, earning Most Valuable Player for his two wins over the Pirates. On another cold night in Cleveland, Avery took the mound against Ken Hill. Through five innings neither team had lit the scoreboard. Avery had only given up a pair of singles to the best hitting team in baseball. Mazzone, again, seemed very subdued, rocking steadily at a controlled pace. After a few innings Mazzone noticed that Avery was using the change-up down and outside as his main pitch, throwing twice as many change-ups as fastballs. Normally, according to Mazzone, his pitchers would throw twice as many fastballs as off-speed pitches. Between one of the early innings, Mazzone suggested that Avery throw more fastballs. Avery responded that the Cleveland batters could not hit his change-up and weren’t making adjustments, so he told Mazzone he was going to continue to throw the hitters mainly change-ups. Mazzone could not argue with Avery’s success, so he endorsed the strategy and went back to his controlled rocking. Atlanta finally broke through in the top of the sixth inning on Klesko’s long home run to right field. With a 1-0 lead, Avery gave up a tying shot to Albert Belle but finished the inning with no further damage. Avery came out of the game after the sixth having allowed one earned run on three hits. Atlanta rewarded Avery’s outstanding performance with three runs in the top of the seventh. Polonia doubled home Marquis Grissom with the go-ahead run and David Justice completed the rally with a single that drove in Polonia and Chipper Jones, who had been intentionally walked. Cox brought in Greg McMichael to pitch the seventh and eighth innings, and he kept the Indians from adding to their run total. The game remained 4-1 entering the ninth inning. Fred McGriff opened the inning with a double and three batters later Javy Lopez drove him home with another double. With a 5-1 lead, Cox turned to closer Mark Wohlers to finish the game. Wohlers promptly gave up a leadoff home run to Manny Ramirez and a double to pinch hitter Paul Sorrento. As Mazzone curled up in the fetal position on the bench, Cox brought in Pedro Borbon, Jr. to finish the game. Borbon responded by striking out the next two batters and securing the third out on a Lofton line drive to Justice. With the 5-2 win, the Braves now owned a 3-1 Series lead, and in the clubhouse, people clearly heard Mazzone belting out Tag Team’s song, “Whoomp! (There it is)” over and over and over again. Game 5 matched the same pitchers as Game 1: Maddux vs. Hershiser. With their backs to the wall, the Indians came out swinging. In the bottom of the first inning, Belle ripped a two-run homer over the right-field wall for a 2-0 Cleveland lead, but the Braves battled back. Polonia, in the top of the fourth inning, sent a shot over the right-field wall to cut Atlanta’s deficit to 2-1, then in the fifth inning, Grissom drove in Klesko with an infield single to tie the game, 2-2. However, the Indians countered with two runs in the bottom of the sixth on RBI singles from Jim Thome and Ramirez. By this time, Mazzone had been singing Eric Clapton’s version of “Swing Low Sweet Chariot” while maintaining a steady rock. Mazzone almost seemed melancholy. Maddux lasted seven innings while giving up four earned runs on seven hits, certainly not numbers that one would normally expect from him. Hershiser, on the other hand, pitched brilliantly, giving up two runs, one earned, on five hits through eight innings. Thome homered off of Brad Clontz in the eighth to widen the lead to 5-2 and Klesko hit a two-out, two-run homer off of Jose Mesa to cut the deficit to one in the ninth. Mesa struck out Mark Lemke to end the game and cut Atlanta’s Series lead to 3-2. As the Braves players and coaches exited the dugout, Mazzone serenaded them with his version of Gladys Knight and the Pips’ “Midnight Train to Georgia,” replete with his imitation of the Pips’ moves. With the Series shifting back to Atlanta, questions arose from fans and the media as to whether the Braves would finally win a World Series. Before Game 6, controversy arose and the plot thickened! After vanquishing the Colorado Rockies in the National League Division Series, the Braves turned their attention to the Cincinnati Reds, who had just completed a sweep of the Los Angeles Dodgers in their Division Series. Atlanta took eight out of thirteen from the Reds during the regular season, but the Reds had speed on the base paths, which made Braves coaches very nervous because Cincinnati could turn a simple walk or single into a run by getting into scoring position with steals. Reggie Sanders, Barry Larkin and former Brave Ron Gant could all hit and run. Keeping the Reds off of the base paths would be the key to the series. When asked by reporters how the Braves would handle the Reds’ speed, Leo Mazzone responded, “Well, you can’t steal first base.” Making good pitches and executing the game plan, explained Mazzone, would keep the Reds off of the base paths. In this best-of-seven series, the Braves played the first two games in Cincinnati. Game 1 pitted Tom Glavine against Reds ace Pete Schourek, an 18-game winner. After the Reds took the lead on a single by Ron Gant, Schourek held the Braves at bay until the ninth inning. With the coaches downing their cache of antacid tablets, Chipper Jones led off the inning with a single and Fred McGriff followed with another single that moved Jones to third base. David Justice then beat out a potential double play ball to shortstop that erased McGriff and scored Jones. The Braves tied the game but could not take the lead in the inning. The game remained 1-1 until the 11th. Two August additions to the team, Luis Polonia and Mike Devereaux (named the NLCS Most Valuable Player), then proved their value. McGriff led off with a walk before Polonia sacrificed him to second base. After Javy Lopez grounded out to third, Devereaux hit a hard line drive single to center field to score McGriff with the eventual winning run. Nursing a 2-1 lead, Brad Clontz entered the bottom half of the inning to pitch . The Braves had already used closer Mark Wohlers in the 10th. Clontz immediately gave up a lead off double to pinch hitter Thomas Howard and a new box of antacid tablets was brought from the locker room. Larkin then moved Howard to third with a ground out to second. Bobby Cox countered by bringing in Steve Avery, normally a starting pitcher. Avery proceeded to walk Mariano Duncan and Leo Mazzone almost rocked himself off of the dugout bench. After Cox relieved Avery with Greg McMichael, the former Braves closer induced a double play grounder from Reggie Sanders to preserve the 2-1 victory. Mazzone exhaled and popped a couple more antacid pills just to be safe. John Smoltz took the mound for Game 2. In the top of the first, Marquis Grissom singled to lead off the game and took second base on Mark Lemke’s ground out to first. Chipper then singled to right field to score Grissom for a 1-0 lead. The score remained steady until the fourth inning when Fred McGriff led off with a double and Mike Devereaux drove him in with a double of his own. However, just as Mazzone started to relax, the Reds tied the game with two runs off of Smoltz in the bottom of the fifth inning. Similar to the first game, the second one produced free baseball. With the score 2-2 in the top of the 10th, the Braves struck hard. Lemke led off with a single. Chipper moved him to second with a ground out to the right side of the infield. McGriff received an intentional walk before David Justice singled to load the bases. With Ryan Klesko pinch hitting for Devereaux, Reds reliever Mark Portugal uncorked a wild pitch scoring Lemke with the go ahead run. After Klesko popped out, Lopez unleashed a three-run bomb to deep left field to give the Braves a 6-2 lead. With Braves coaches down to their last bottle of antacids, Mark Wohlers entered the bottom of the 10th. After Wohlers gave up a leadoff single to Larkin, Mazzone rocked himself off of the bench then rolled under it. However, Wohlers induced a ground out and two strike outs to secure the victory as Braves trainer Dave Pursley revived Mazzone. Up two games to none, the series shifted to Atlanta. With Greg Maddux on the mound for Game 3 and the Braves up 2-0 in the series, Mazzone and the other coaches seemed calm and confident. However, as in the NLDS with the Rockies, ambulances from Grady Hospital were on alert. Also, a new supply of antacid tablets arrived in the clubhouse the day before the game. Maddux and Reds twirler David Wells kept the score 0-0 into the sixth inning. Mazzone’s rocking pace on the bench had picked up considerably by that point. McGriff led off the bottom of the sixth with a double to right field. Then Justice flied out and Devereaux walked. Up strolled light-hitting catcher Charlie O’Brien. With the count two balls and two strikes, O’Brien blasted Wells’ next pitch into the left field seats for a 3-0 Braves lead. Mazzone wiped his brow and offered a barely detectable smile. He became almost giddy after Chipper launched a two-run blast to left field in the bottom of the seventh to increase Atlanta’s lead to 5-0. The Reds managed single runs off of Maddux in the eighth and Wohlers in the ninth, but the Braves prevailed 5-2. Mazzone looked the picture of health as he exited the locker room knowing the Braves only needed one more win to finish off the Reds and go back to the World Series. Cox picked Steve Avery to pitch Game 4 and all Avery did was shut out the Reds for six innings. Atlanta took a 1-0 lead in the bottom of the third on a Lemke single that plated Rafael Belliard. With Mazzone starting to grab his antacid tablets in the seventh, the Braves still nursed a 1-0 lead. Cincinnati’s Schourek had allowed the only run of the game but was pitching on short rest, so Reds manager Davey Johnson sent out Michael Jackson (not the pop star, but I could be wrong based on the results) to pitch the seventh. Grissom led off the inning with a triple to left center field. After Lemke popped out and Jones walked, Grissom scored on a passed ball with McGriff at the plate. Jackson then intentionally walked McGriff with first base open. Up stepped Devereaux who deposited Jackson’s first pitch into the left field seats to give the Braves a 5-0 cushion. Lopez followed with a double before Jackson intentionally walked Klesko. After that Jackson Beat It back to the dugout while moon walking. Dave Burba, Jackson’s replacement, induced a ground out from Belliard before Polonia singled to make the score 6-0. Seconds later, Mazzone pulled a mirror from his back pocket, looked at The Man in the Mirror, liked what he saw, then began to rock ever so slowly. Alejandro Pena and Wohlers shut out the Reds the rest of the way, and with the 6-0 shutout, the Braves could begin preparations for their third World Series in five years. As Mazzone enjoyed an adult beverage after the game, a rumor emerged that a young woman gave him a quick kiss on the cheek to offer her congratulations. Later, when asked her name, Mazzone wasn’t sure. He thought he heard someone call her Billie Jean but another referred to her as Dirty Diana. No matter, the NLCS was a Thriller (Sorry. I just couldn’t resist)! The Braves became the first team to sweep an NLCS and they did so by executing Mazzone’s plan of keeping the Reds off of the base paths—the Reds managed only four steals, all in Game 2. Braves pitchers shut down Cincinnati’s offense. Reggie Sanders, for example, hit 28 home runs and drove in 99 runs during the regular season. Sanders finished the series 2-16 with no RBIs and 10 strike outs. The stakes would now be higher against the only team with a better record than the Braves. The Cleveland Indians stood between Atlanta and the city’s first world title in any of the four major sports (baseball, football, basketball and ice hockey). The 1995 World Series would become one of the most unforgettable events in the history of the city! The 1995 season marked the beginning of three divisions in both the National and American Leagues. The division winners and a Wild Card team, the team with the best record outside of the division victors, comprised the playoff pool. For the first time in the history of baseball, a team had to win two playoff series to reach the World Series, and the first series was only a best-of-five format. The Colorado Rockies presented the first test for Atlanta. The Braves entered the playoffs with the best record in the National League but fearful of the Rockies in a short series. Also, the Braves had to play the first two games in Coors Field in Denver where no lead was safe. None of the Braves management or coaches believed a short series a true test. Braves Pitching Coach Leo Mazzone believed a short series detracted from everything a team accomplished over the course of a regular season and negated a team’s depth, which proved a large factor in the Braves’ securing the division title. He further argued that anything could happen in a short series and the lesser team could win. Mazzone also knew that the Rockies had hit 134 of their league-leading 200 home runs at Coors Field. However, the Braves traveled to Denver for the first two games knowing they had Greg Maddux, Tom Glavine, and an unlimited supply of antacid tablets. The Braves had beaten the Rockies 30 out of 36 times in Colorado’s short history. However, the mood in the clubhouse was one of high anxiety. John Smoltz stated that everyone on the team feared the Rockies in a short series and that Colorado reminded him of the 1991 Braves. Mazzone‘s goal for the pitching staff was to hold the Rockies to under four runs because the thin Denver air ballooned a pitcher’s Earned Run Average. With all of this in mind, Maddux toed the rubber for Game 1. Marquis Grissom’s solo home run gave the Braves a short lived 1-0 lead. Maddux surrendered three runs in the fourth inning and the team’s concerns began to appear very valid. With Braves coaches popping antacid pills before, during and after innings, the Braves players began a comeback. In the top of the sixth, Chipper Jones led off with a long home run over the right field wall to cut the deficit to one. After a walk to David Justice and a single from Ryan Klesko, recently-acquired Luis Polonia beat out a potential double play that allowed Justice to score from third to tie the game at 3-3. The game remained tied until the eighth inning. With two outs, Klesko and Javy Lopez hit back-to-back singles. Cox then pinch hit left-handed hitter Dwight Smith for right-handed hitter Jeff Blauser in order to counteract Colorado pitcher Darren Holmes, a righty. The move worked as Smith singled up the middle driving in Klesko with the go ahead run. However, in the bottom of the inning Braves reliever Alejandro Pena gave up a Run Batted In double to Ellis Burks that tied the game at 4-4. With two outs in the ninth, Jones drilled another home run to give the Braves a 5-4 lead. The drama was just beginning, however. Mark Wohlers entered the game to close out the victory. With one out, Wohlers allowed two singles and a walk to load the bases. He secured the second out with a strike out of Andres Galarraga and up to the plate came Lance Painter, a pitcher. Colorado manager Don Baylor gambled and used all of his position players during the game. Painter was his next best option, but Wohlers struck him out to enable the Braves to escape with a 5-4 win. Game 2 provided more unsettled stomachs for the Braves. Marquis Grissom led off the contest with a drive over the fence in right center field to stake the Braves to a 1-0 lead. Lopez drove in Mark Lemke with a sacrifice fly in the third inning, Grissom hit another solo home run in the fourth and the Braves led 3-0. Just as the Braves began to feel good about their situation, Larry Walker prompted the opening of a new box of antacids with a three-run blast off of Braves’ starter Tom Glavine to knot the score at 3-3 in the sixth inning. The scored remained tied until the bottom of the eighth. With Pena on the mound again the Rockies took a 4-3 lead on a Galarraga double. Heavy breathing ensued from the Braves’ dugout. With the Braves trailing by one in their last at bat, they showed why they had the best record in the National League. Jones led off with a double. Fred McGriff singled him home to tie the game. Justice then flied out and Lopez struck out. Mike Devereaux then singled and Cox called on Mike Mordecai to pinch hit for Pena. Mordecai promptly singled to give the Braves the lead. Two more runs came home when Colorado second basemen Eric Young committed a two-base throwing error on a ground ball from Rafael Belliard. Wohlers kept the Rockies off of the scoreboard in the ninth for the victory and a 2-0 series lead for the Braves. No one from the Atlanta dugout needed medical treatment, but a new order for antacid pills was made as the series shifted to Atlanta. The pills arrived before the start of Game 3. John Smoltz then proceeded to allow five runs, but the Braves battled back to the tie the game in the bottom of the ninth when Klesko scored on a Polonia single. However, Wohlers proceeded to give up two runs in the top of the 10th inning and the Braves could not counter in the bottom half. The series now stood at two games to one, while nearby Grady Hospital began to prepare rooms for Braves coaches, just in case. When Game 4 starter Greg Maddux gave up three runs in the third inning, ambulance sirens could be heard in the distance, but before they arrived the Braves countered in their half of the third. Jones doubled home Grissom and Lemke to cut the deficit to one then the Crime Dog, McGriff, homered to give the Braves the lead and close the door on any Colorado upset plans. Atlanta added two runs in the fourth, one in the fifth and three more in the sixth to clinch the Division series with a 10-4 victory. The ambulances returned to Grady with no occupants. The Braves had survived. Smoltz believed the Braves were lucky to win the series and noted the Rockies could have swept the Braves in three games. With blood pressures slowly inching down to normal, the Braves turned their focus to the National League Championship Series against the Central Division champion Cincinnati Reds. At least this series would be a best-of-seven format, and the Braves’ depth should provide the difference, or so Cox, Mazzone and the other coaches believed. To be safe, more antacid pills were ordered. Why Didn’t the Atlanta Braves Win More World Series Titles in the 1990s? Former Braves general manager John Schuerholz on Sunday was voted into the Baseball Hall of Fame. He joins former Braves manager Bobby Cox and pitchers Tom Glavine, John Smoltz and Greg Maddux. Chipper Jones will most likely join them in 2018. The common thread here is that all six participated in the Braves’ amazing run during the 1990s. So the Braves now have from that era their general manager, manager, and three starting pitchers in the Hall, with their third baseman soon to follow. 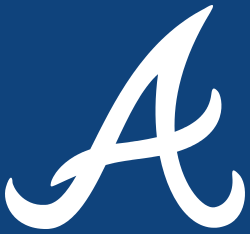 The Braves, in the 1990s, won eight consecutive division titles, five national league pennants but only one World Series. How is this possible? Let’s look at some theories behind the Braves’ failure to bring home more titles. anybody. You go best-of-five and you lose one, there’s a sense of urgency. I respect Mazzone’s argument but that does not explain World Series losses to the Minnesota Twins in 1991 and the Toronto Blue Jays in 1992. Remember the best-of-five first round playoffs did not begin until 1995. However, maybe they would not have lost to the Florida Marlins in 1997 and the San Diego Padres in 1998 and would have gone on to win the World Series in those years. John Smoltz is his book John Smoltz Starting and Closing (William Morrow, 2012, p. 220-229) offers several theories on why the Braves did not win more titles. First, he claims that power pitching wins in the playoffs. While finesse pitchers Greg Maddux and Tom Glavine were great pitchers, they pitched to contact. They wanted hitters to hit the ball to their infielders and outfielders. Smoltz states that this philosophy works well over the course of a 162-game regular season, but facing good hitters in the playoffs translates to more hits and more runs. On the other hand, a power pitcher such as Smoltz can generate more strike outs thereby keeping more hitters off of the base paths and less runs from scoring. There may be some truth in this theory. Maddux had an 11-13 postseason record with a 2.81 ERA with the Braves and allowed an alarming 18 earned runs in 27 starts. Glavine had a 12-15 postseason record with the Braves while compiling an ERA of 3.44. Smoltz’s postseason record with the Braves was 15-4 with an ERA of about 2.70. The Braves played a total of 29 games in their five World Series in the 1990s. Seventeen of those games were decided by one run and the Braves lost 12 out of 17. All the losses to Toronto in the 1992 Series were by one run. Fewer base runners would have meant fewer runs and maybe more wins for the Braves. Another power pitcher may have helped. Smoltz also points to the lack of timely hitting by the Braves in these losses and the preponderance of timely hitting from their opponents. He argues that sound pitching and timely hitting win titles. Hard to argue with that logic. Oh what a timely hit in Game 7 against Minnesota would have meant to the outcome of that game and the Series. Interestingly, Marquis Grissom had a reputation for timely hits throughout his career and he was arguably the catalyst behind the 1995 title against the Cleveland Indians. He also hit .444 against the New York Yankees in the 1996 Series, but weird things happened in that Series (See below). Smoltz offers one more reason for the lack of titles in Atlanta. He argues that the Braves experienced some bad luck that decided several games and eventually cost Atlanta an extra title or two. For example, if Lonnie Smith picks up the ball while running the bases in Game 7 against Minnesota, or at least watched his third base coach, he would not have slowed down and would have scored easily. Maybe if the Braves had the extra home game instead of Minnesota, Atlanta wins the 1991 World Series. Remember, the home team did not lose in 1991. Also, if umpire Time Welke does not interfere with Jermaine Dye’s attempt to catch a very catchable foul ball during the sixth inning of that fateful Game 4 of the 1996 Series, then Derek Jeter would have been out. Instead he singles on a later pitch and begins a three-run rally to cut Atlanta’s lead to 6-3. The next inning, usually dependable Rafael Belliard boots a sure double-play grounder and only gets one out. So instead of one on and two outs, there were two on and one out when Jim Leyritz launches his home run to tie the game. The Braves would lose that game in extra innings and eventually the Series. Again, Smoltz may have an argument here. I have a little different take on why the Braves could not produce more titles and it revolves around John Schuerholz. I concur with Smoltz that the Braves could have used another power pitcher and more contact hitters. During the 1990s run the Braves were built on the long ball. Fred McGriff, Ryan Klesko, David Justice and Javy Lopez were power hitters. All played major roles in Atlanta’s ability to get to the World Series, but other than the 1995 Series, these players did little with their bats in other Series. However, Mark Lemke, a contact hitter, did his part to win the 1991 Series when he batted .417 and hit .273 against Cleveland in 1995. Unfortunately, he didn’t hit well against Toronto in 1992 and the Yankees in 1996. Marquis Grissom, another contact hitter, batted .360 against Cleveland and .444 against the Yankees, then Schuerholz traded him to Cleveland. Grissom would lead the Indians to the 1997 World Series where he would extend his hitting streak in World Series games to 15. The Braves did receive Kenny Lofton as part of that trade, but Lofton played one year with Atlanta before returning to Cleveland as a free agent. Another contact hitter or two may have changed the outcomes of some of the games against elite opponents in the World Series, where hits are generally at a premium because of the strong pitchers associated with each club. Grissom brought the added dimension of speed, which enables clubs to manufacture runs more easily. Just look at what Kenny Lofton did to the Braves in 1995 and may have done with Atlanta Braves if the Braves had elected to re-sign him after the 1997 season. So had the Braves acquired another power pitcher or two or another contact hitter or two or someone besides Grissom who could manufacture a run with his bat and legs, would that have possibly allowed the Braves to win more of those one-run games and change the total of their World Series titles? Maybe, but we will never know because the man responsible for acquiring such pieces, John Schuerholz, did not do so. I am not laying the lack of more titles completely at his feet because I don’t know what he was or was not told to do by upper management. However, Ted Turner owned the Braves for most of this run and I have to believe if Schuerholz requested that the Braves add one or more aforementioned pieces Turner would have agreed to do so. I don’t believe money really was an issue back then. You can make your own judgments. Maybe the Braves needed another power pitcher, or contact hitter, or base stealer. Maybe they were just unlucky. Or maybe, some other factor(s) played a role in the lack of titles that have not come to mind. I really don’t know, but I give much of the blame to John Schuerholz, the man just elected into the Baseball Hall of Fame. One thing I am sure of—the Atlanta Braves should have more than one World Series title. For the Braves: 1988 and 2016, Brothers From a Different Mother? The 2016 Atlanta Braves are off to a 0-8 start as of April 14 and the projection for the rest of the season does not look promising. Offensively, the Braves have averaged 2.75 runs per game, second worst in the National League behind the Mets’ 2.50; their team batting average is a paltry .199, again second worst behind the Mets’ .194; and team has managed to send three balls out of the ball park, which ties them for second worst with Pittsburgh and ahead of the Mets’ by one. I know what you are thinking at this point, “Well, Pittsburgh and the Mets were playoff teams last year and the Mets went to the World Series.” True. However, I believe Pittsburgh and the Mets will improve their offensive numbers. As for the Braves…here are some more statistics. The team Earned Run Average is 5.79, second worst behind Colorado’s 7.61. The Braves have zero saves, tied with Cincinnati for last. However, Cincinnati is 5-3. So, I believe we can say that the 2016 Braves can’t hit, score runs or pitch. Of course, these statistics could improve as the season progresses, but don’t hold your breath. Rarely does a team lose less than 54 games, but these Braves just may accomplish that ignominious feat. Also, the bells may be tolling for manager Fredi Gonzalez. The 2016 version of the Braves compares very nicely with the 1988 team. That squad started the season 0-10 and finished in last place in the National League West 39.5 games behind first place Los Angeles and 27 games behind next to last Houston. These Braves could not hit, score runs or pitch either. The 1988 team finished last in the National League in ERA and Saves. It finished last in runs per games, next to last in batting average, and tied for third to last in home runs hit. Oh, and these Braves finished with a 54-106 record. About 40 games into the season, general manager Bobby Cox fired manager Chuck Tanner and replaced him with Russ Nixon, whom Cox replaced as manager in June 1990. These two Braves teams may have some very positive similarities, though. The 1988 team witnessed two future Hall of Famers take the mound: Tom Glavine and John Smoltz. Glavine compiled a 7-17 record in his first full season with the Braves, while Smoltz debuted in July. Young infielders Jeff Blauser and Mark Lemke made the team but did not play much. These four young Braves would form the nucleus of the 1990s dynasty teams along with 1988 first round pick Steve Avery. For the 2016 Braves, young pitcher Matt Wisler will be throwing in his first full season, while young prospects Tyrell Jenkins and Mike Foltynewicz are ready at any time to be called up from the minor leagues. Middle infielders Dansby Swanson and Ozzie Albies, while probably a season away, could make it to the big leagues before season’s end. These young players may form the core of what Braves officials hope will be a second dynasty. The 1988 and 2016 Atlanta Braves have many similarities. Certainly, the 1988 squad had young players that would form the foundation of the 1990s World Series teams, but it took three more years before playoffs and World Series would be the norm. Assuming that the 2016 team sees more of the organization’s young talent grabbing spots on the major league roster, maybe we can point to 2019 as the beginning of the second Braves dynasty. Therein lies the hope for Atlanta Braves fans. As for the 2016 team: 0-8 and counting! Oh, brother!